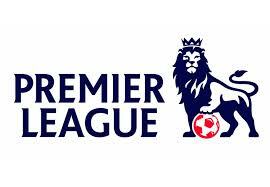 Who Will Finish In The Top 4 In The Premiership? In what is without doubt the most unpredictable season in living memory. Everything, from the title, to relegation, to a place in the top four is still up for grabs. And if this season keeps going the way it has been since August then the only sure thing is that we have plenty more surprises yet to come. Leicester’s rise means that it is looking increasingly likely that one of the so called big clubs will miss out on a top four finish. At the start of the season no one could have seen Leicester finishing in the top four and in doing so denying one of the big clubs a place in the Champions League. But this now seems as if it’s probably going to be the case. The top 4 come the end of the season seems as it is going to be different than previous years. At present the top four consists of Leicester, Spurs, Arsenal and Man City with Man Utd 6 points adrift in 5th place. Southampton and West Ham are both a point behind United. It’s probably hard to believe given all the recent turmoil at Old Trafford that United are only 6 points behind City in the race for a champions league spot and it says a lot about how mediocre this season has been for a lot of the big clubs. Look no further than Chelsea for proof of this. They currently sit in 12th an astonishing 14 points off 4th place. They were champions last season least we forget. Amazing that we are only in February and they can already be written off in the race for a top 4 finish. They are closer to the relegation zone than to the top four. Forgetting Chelsea the only teams with realistic hopes of making the top 4 are the ones I mentioned above and possibly to a Liverpool who are currently 9 points off 4th. This seems unlikely but given how this season has gone, nothing would surprise me. What also seems unlikely is that Man Utd will make it into the top four. The players know that LVG is going to be gone in the near future and they are playing so poorly that it is hard to see them finding the form or the having the fight for a top 4 finish under Van Gaal. I think it is honestly more likely that if anyone makes a play for the top four from off the pace it will be Southampton. They are in good form at present and have shown that they can beat anyone on their day. Although having said all that, it is difficult to see them making up a seven point gap on 4th spot. A couple of the teams above would have to capitulate and with the entire top four still in the title race this is unlikely. Liverpool are the dark horses in this race but Klopp’s team are far too unpredictable and inconsistent to go on a run until the end of the season. West Ham are lively but don’t have the squad to make a push for top four. Therefore it seems likely that the current top four will be the top four come the end of the season, not because the gap is too big to bridge but because none of the teams chasing 4th place seem to be capable of bridging this gap. This means that unbelievably we are more than likely going to see Leicester playing in Europe’s premier club competition next season. A sentence I never in my wildest dreams thought I would be writing. You can’t argue that they don’t deserve it though because they have been the best thing about this year’s Premier League. To think that they will be playing in the Champions League when Chelsea, Man Utd and Liverpool will not is great for the neutral. Although don’t rule out more twists and turns before the season ends because there seems to be no limit to the unpredictability of the Premier League.